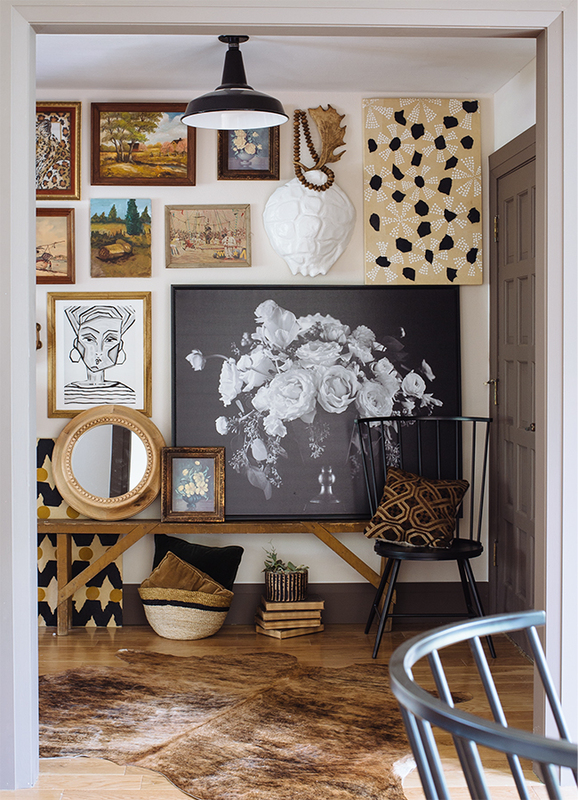 This Entry with floor to ceiling gallery wall is jaw dropping. I love the warmth and eclectic mix and drama. Claire and her husband are renovating their first home, and it's been so fun to follow her progress. 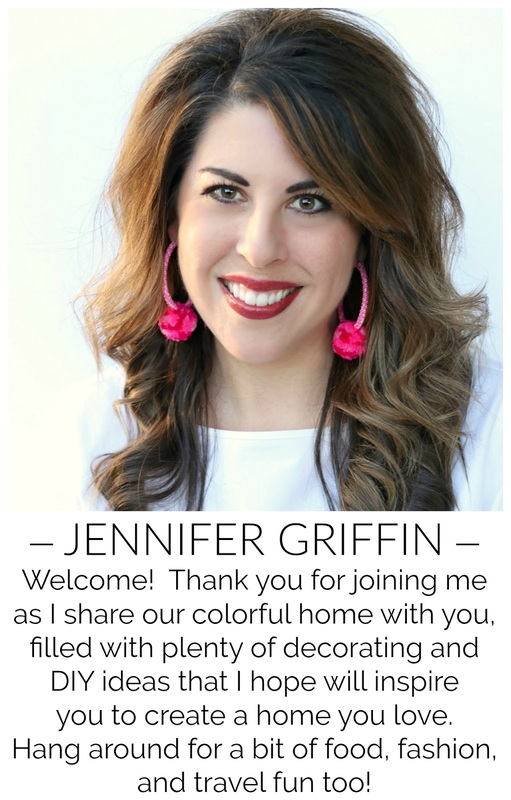 Her new bathroom reveal is just as stunning! 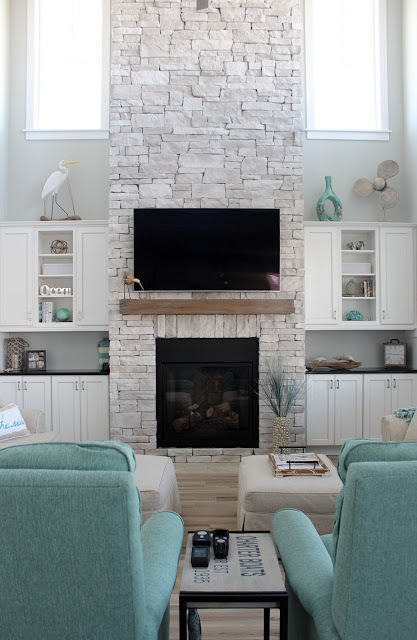 Have you been watching Home Town on HGTV? We're loving it! Ben and Erin are adorable, we could listen to them talk all day! 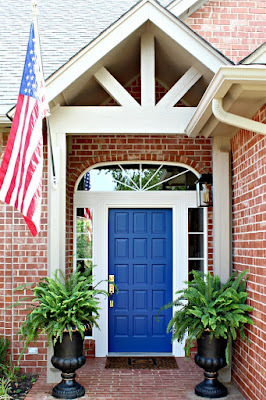 I especially loved the exterior transformation of this house. Chip and Jo are great but it's been nice to have a new show (and different style) in the mix! 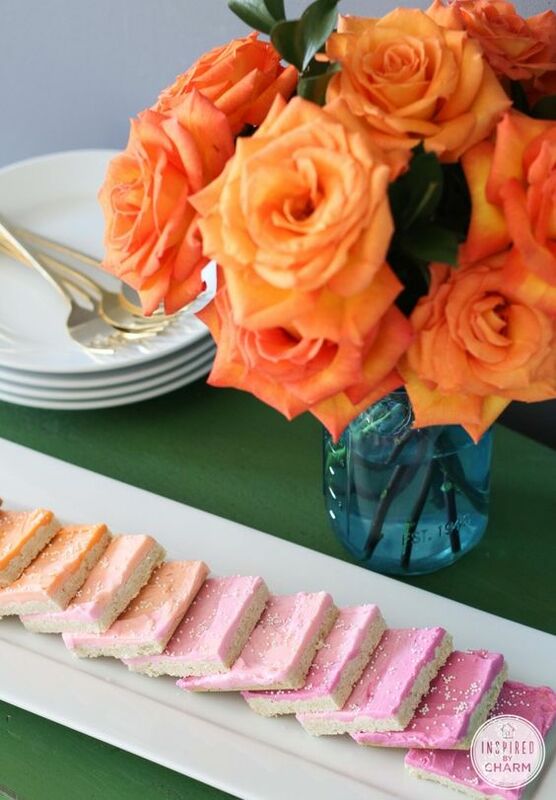 These frosted sugar cookie bars are almost too pretty to eat! My girl has a birthday coming up next week and I think I need to add these to the menu. Do you have dreams of making your backyard the perfect space to hang out and relax? 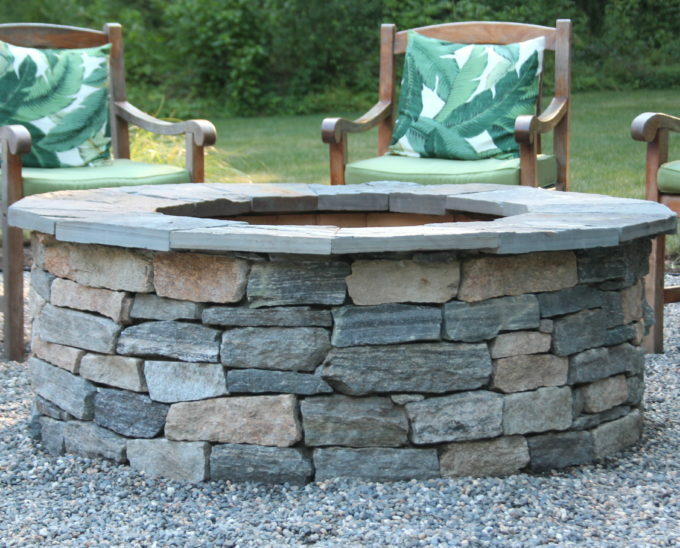 Check out how Lisa showed us how to DIY a fire pit and pea stone patio from start to finish. 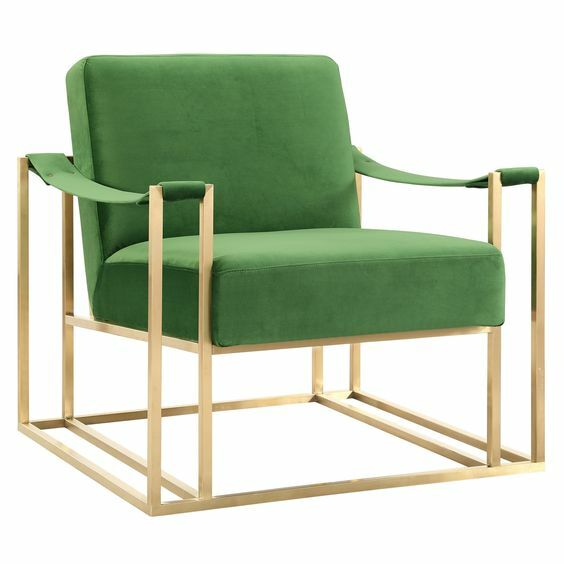 If you're in the market for new furniture, a rug, or anything else for your home, check out the Wayfair Spring Sale! (affiliate link) With markdowns up to 70% off (like this dreamy chair) now is the time to buy if you find something you like. Spring Sale runs through Sunday, April 30. We'll wrap up today with Summer's pretty tour of her parents' beach house. How wonderful would it be to have this house in the family? Kelly's Thai Soup: A tasty, healthy recipe for any time of year! I've been loving Home Town! They are a cute couple. I agree, Chip and Jo are great but it's nice to see something different. Fixer Upper seems like a lot of the same after awhile, but so far I really like how each of the houses on Home Town are different! I think we all just like to see a couple who really like each other! Some of the other shows on HGTV have couples who just disagree all the time. You're exactly right, those are all the reasons we love it, too! I'm also enjoying the new couple doing the Las Vegas version of Flip or Flop. I'll be back tomorrow to check all this out. Gotta get to bed now but had to see what was on here;) I haven't seen Home Town but will definitely check it out.